Bong Joon-Ho’s Snowpiercer is in theaters now in limited release, but if you’re having trouble finding it playing near you, or would prefer to watch it from the comfort of your living room, it’s also available for streaming. The film looks really good and we’re going to see it one way or the other. The story is set in a new ice age caused by a failed experiment to stop global warming that killed virtually all life on the planet. 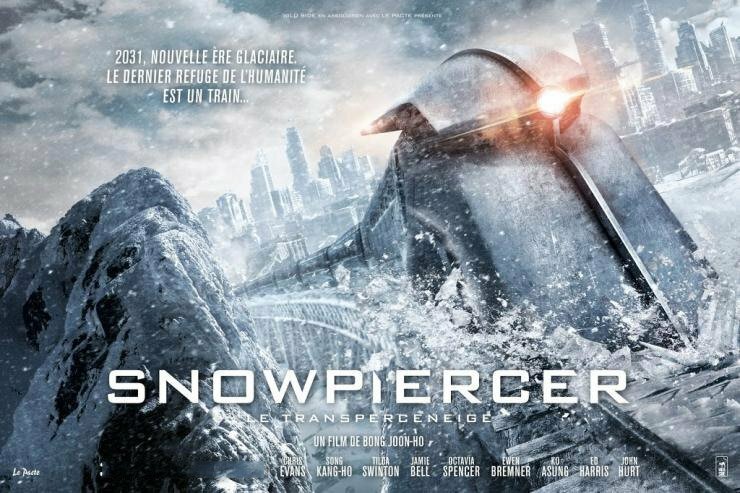 The sole survivors live on a train called Snowpiercer built by the Wilford corporation that is powered by a perpetual machine and never stops moving. The passengers struggle with the class system implemented on the train. Get it now on iTunes, Amazon or Google Play.